The Editorial Team of the Digest (hereinafter the Editorial Board) accepts previously unpublished works on various aspects of viticulture and winemaking on the following thematic areas: «Biotechnology and molecular genetics of grapes», «Actual problems of vineyard ecology», «Theoretical bases and practical recommendations of scientific provision of seedlings and Reproduction of grapes», «Results of the study of new promising varieties and grape clones», «Phytopathology and protection of vineyards», «Fertility and protection of soils under grape plantations», «Current issues and problems of Ukrainian wine», «The question of technology and quality control and authenticity of wines», «Mechanization of technological processes in viticulture and winemaking». The article, the title and content of which does not correspond to the topics of the indicated directions, is not considered. statement of the task (formulating the objectives of the article). list of used materials and research methods (the difference and advantage of the proposed approaches to achieving the goal set in the work. List these approaches should be kept separate from the content of the work, while briefly and meaningfully defining what exactly was investigated by that method, which will make it possible to verify logic and the eligibility of the choice of these methods). a presentation of the main research material (with full justification of the scientific results obtained). conclusions from the conducted research (and prospects for further developments in this direction). is compiled according to the order of citation (and is executed in accordance with the requirements of the current standard DSTU GOST 7.1: 2006). 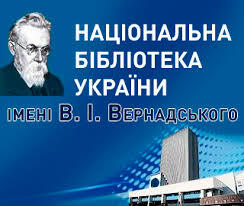 List of used sources in accordance with DSTU GOST 7.1: 2006 currently can be arranged automatically: an automatic designer of the bibliographic description. english version of the list of sources used (list of Cyrillic sources used in transliterated form). 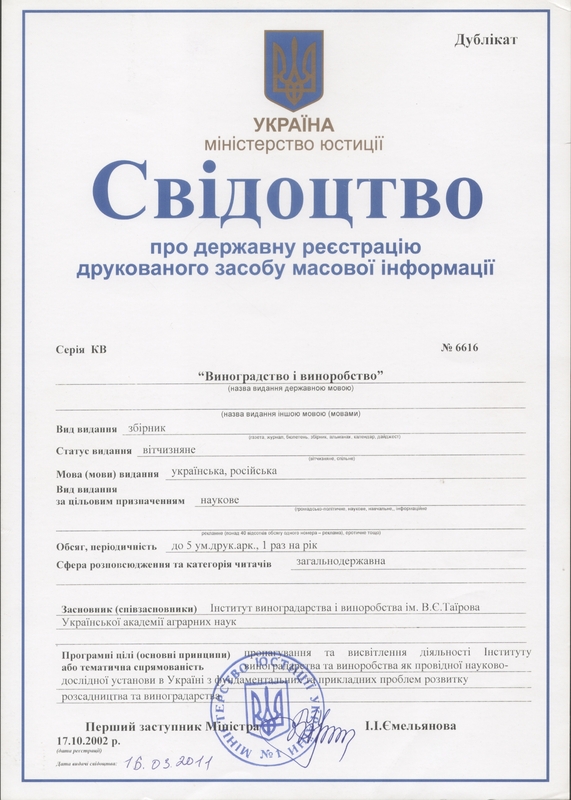 Transliteration is carried out depending on the original language in accordance with the Resolution of the Cabinet of Ministers of Ukraine № 55 dated January 27, 2010 «On the Regulation of Transliteration of the Ukrainian Alphabet by Latin» (for the Ukrainian language) or requirements of the order of the Federal Migration Service of Russia of February 3, 2010 № 26 (for the Russian language ) On-line transliteration: Standard Ukrainian transliteration (Passport CMU 2010), translated in Russian. The list of used sources in the References section after the actual transliteration must still be made in accordance with international standards. The Interagency Thematic Vintage and Winemaking Scientific Compilation uses the American Psychological Association (APA) Style (APA) when the year of publication is in parentheses after the name of the author. Note that curly quotes cannot be used in the description elements, but only regular direct (” “) and it is not possible to replace the Latin letters with Cyrillic. Detailed examples of designing the References section under the rules of APA-2010 can be downloaded from this link. The article is submitted to the Editorial Board in Ukrainian, English or Russian. In the text of the article, the repetition of the same data in text, tables, and figures is inadmissible. In the description of the research methodology, only the names of the standard methods should be given with reference to the relevant sources; otherwise, the description of the original part should be limited. If the text contains an abbreviation, it should be presented in brackets after the full name of the object (process) at the first mention. Authors should observe the correct industry terminology (see DSTU, JUU, other current normative documents), the terms in the article should be unified. The presentation of the research results should not be limited to the translation of the contents of tables and figures, but to determine the regularities that come out of them. In discussing the results, the causal relationships between the effects obtained should be shown, comparing the data obtained and revealing their novelty. The reference to the used source in the text is given in square brackets according to its serial number in the List of used sources. the scope of research, the possibility of using the results, the direction of further research. Keywords: not less than 3 and not more than 8. At the beginning of the article, only the short (annotated) statement of the article and the keywords in the language in which the article is presented is usually placed between its title and the main text of the article. In this case, the surname and initials of the author(s), their place of work or study, e-mail, the title of the article should not be indicated separately. The volume of one article should be up to 14 pages A4 (210×297 mm) or up to 24 thousand characters, including the above sections and annotations. For the original layout, the format A4 (210×297 mm) is used with the following fields: upper and lower – 2 cm, left – 2 cm, right – 2 cm. Headset – Times New Roman, font size – 12 pt, line spacing – 1.0. The page orientation is bookable. If the article contains tables of large volumes, the landscape orientation of the page (not more than 30% of the total article) is allowed. Pages in the article should not be numbered. An article on an electronic medium is accepted only as a separate computer text file in formats *.doc, *.docx, *.rtf, *.odt. UDC (bold, italic) is typed in the first page of the page and aligned on the left margin. Then (on separate lines) indicate: initials and surname of the author(s) (bold italic, uppercase letters), their degree and titles (italics, uppercase letters) and aligned on the right side. Then in the next line indicate their place of work or study (capital letters) and align on the right edge. If authors from different institutions, after the initials and authors names and the names of the institutions in which the authors work or study, one should place the same upper digit number. Then in the next line indicate the country, whose citizens are the authors (uppercase letters) and align on the right. Between the line containing the name of the country and the title of the article leave one empty line. The title of the article is dialed (LEFT, LARGER LITERS) in the next (on an empty line) line and aligned in the middle. Between the line containing the title of the article and the short (annotated) statement of the article leave one empty line. The brief (annotated) statement of the article (in the language in which the article is presented) is presented (italic, uppercase) in the next (on an empty line) line and is aligned in width. Between the line containing the short (annotated) article statement and the keywords leave one empty line. Below are the Keywords: (uppercase letters) and aligned in width. Between the line containing the keywords and the main text of the article leave one empty line. Basic Text of the article is presented in accordance with the above structure and aligned in width. The article should not have automatic or artificial word translation. The name of each section begins with a paragraph (bold italic, uppercase) with a dot at the end. The section begins immediately after the title of the section from the new sentence. Tables must be executed in Microsoft Office Word without a flood, and must be embedded in the main text and numbered sequentially. The designation of the Table with the number (the dot after the number does not apply) aligned at the right edge, the Table name (bold, uppercase) is aligned in the middle of the table. A blank line should not be left between the table name and the actual table. When placing a spreadsheet on two or more pages, the beginning of each page should be marked «Continuation of the table with the number» (the dot after the number is not put), which aligns to the right edge. The reference in the text to the table should look like this: (Table 1) if there is only one table – (table). Photos, drawings (in black and white, gray, or colored tones) must be made in the format *.jpg, *.gif and be embedded in the main text and numbered sequentially. Marking Fig. number (the dot after the number is not put) and its Name are located directly under the photos, drawings, and level in the middle. The reference in the text on the photo, the picture should look like this: (Figure 1), in the presence of only one photograph, the figure – (figure). Charts (in black and white, gray, or colored tones) must be executed in Microsoft Office Excel format and embedded in the main text and numbered sequentially. All other terms and designations are the same as in pictures and drawings. One formula in the text denotes – (1). References in the text to the ordinal numbers of the formulas are given in brackets (example): … this function is described by formula (1). It is not recommended to place illustrated materials (tables, pictures, drawings, graphs or formulas) on the page just before the conclusion of the article (between the illustrative material and the conclusions of the article must be at least one paragraph – several sentences – the text). After setting out the Basic Text, leave one empty line after which to place the Conclusions by aligning the name of this section in the middle. One empty line should also be left between the title of the section and the actual text of the output. The text of the conclusions should not be numbered, specifying (if necessary) as separate paragraphs. The text of the conclusions itself is aligned in width. After the Conclusions section, leave one empty line after which to place the List of used sources by aligning the name of this section in the middle. One empty line should also be left between the title of the section and the actual list of sources used. The list of used sources itself is aligned in width. For each source included in the list of sources used should be at least one reference in the text of the article. A reference to the authors own work (self-citation) is allowed, but no more than 25% of the total number of sources. The context in which the reference in the text of the article to the source used is made must necessarily correspond to its actual content. Links to Internet resources must directly lead to the specified document. After the List of used sources, leave one blank line after which to place the References by aligning the name of this section in the middle. One empty line should also be left between the title of the section and the actual transliterated list of sources used. The directly transliterated list of used sources is aligned in width. Short (annotated) summary of the article: goals and objectives of scientific research; methodology and scientific approaches; conclusions – what are the main results of research work; practical value, social consequences (if any) – impact on society / politics; originality / value; the scope of research, the possibility of using the results, the direction of further research. The text of the article in duplicate (on paper) and one copy on an electronic medium. The article must be executed in accordance with the requirements of the article, which claims to be published in the Interagency thematic scientific digest «Viticulture and winemaking» and signed by all authors on the last page of each copy (on paper). Letter from the institution where the work was done. Expert opinion on the possibility of publishing authors materials. Individual articles of authors who do not have a scientific degree are considered by the Editorial Board only in the presence of a review (recommendation, referral, review) in an arbitrary form from the scientific supervisor (reviewer). Information about the supervisor (reviewer) is published in the digest after the text of the article (L.N.S., scientific degree, rank, place of work, country, e-mail). License agreement on the use of authors materials (on paper) signed by all authors. An example of such an agreement is given at the end of this document. Information about the author(s) in an arbitrary form with the indication of the address and contact numbers of the first or responsible author, the e-mail of the first or responsible author. The specified list of documents on paper carriers is sent to the Editorial Board by ordinary mail to the following address: National Scientific Centre «V.Ye. 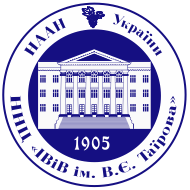 Tairov Institute of Viticulture and Winemaking» NAAS of Ukraine, 27, 40 let Pobedy str., Tairovo, Odessa, 65496, Ukraine, and the text of the article in electronic form on e-mail: sbornik_iviv@ukr.net. All subsequent correspondence with the Editorial Board is carried out at the same addresses. Responsibility for the content of the article is borne by the author(s). The author’s materials, published in the Digest, reflect the point of view only by their authors, and may not always coincide with the position of the Editorial Board. The editorial board reserves the right to make an editorial revision of the manuscript. Manuscripts (after the publication of the article) The editorial board does not return their authors. external scientific review in accordance with the Position of reviewing and the procedure for passing the article in the interagency thematic scientific digest «Viticulture and winemaking». In the case of a negative decision on the publication of an article, such an article is returned to the author (at his expense) for revision. The editorial board categorically condemns the manifestations of plagiarism in articles, as a violation of copyright and scientific ethics. If found in the article more than 25% of the borrowed text without the corresponding references and the use of quotes, the article is qualified as containing plagiarism. In this case, the article is no longer considered, and the author receives the first warning (in the presence of a scientific supervisor, he also notes). The authors, whose articles will be re-discovered plagiarism, will no longer be able to be published in any of the Digest’s numbers, and the fact of plagiarism will be proved in writing to the attention of the leadership of their organizations, including through the official website of the Interagency thematic scientific digest «Viticulture and winemaking», section «News». After an external review, the Editorial Board makes a final decision on the possibility of publishing an article. In the case of a positive decision on the publication of an article, the author receives an e-mail message and an invoice for payment that can be paid in any bank of Ukraine. The article is published on a paid basis. The authors pay for the pre-print preparation of the manuscript and replicating the article, based on the calculation of UAH 300 per article. The distribution of authors copies of the digest (if necessary) takes place at the expense of the authors. The cost of sending a digest in Ukraine to PJSC «Ukrposhta» or LLC «New Mail» is determined according to the tariffs of these operators at the time of such distribution. The author receives 1 (one) copy of the digest (1 digest for 1 article). Additional copies of the digest can be purchased from the Editorial Board by pre-order (indicate at the end of the article or send an order by e-mail).